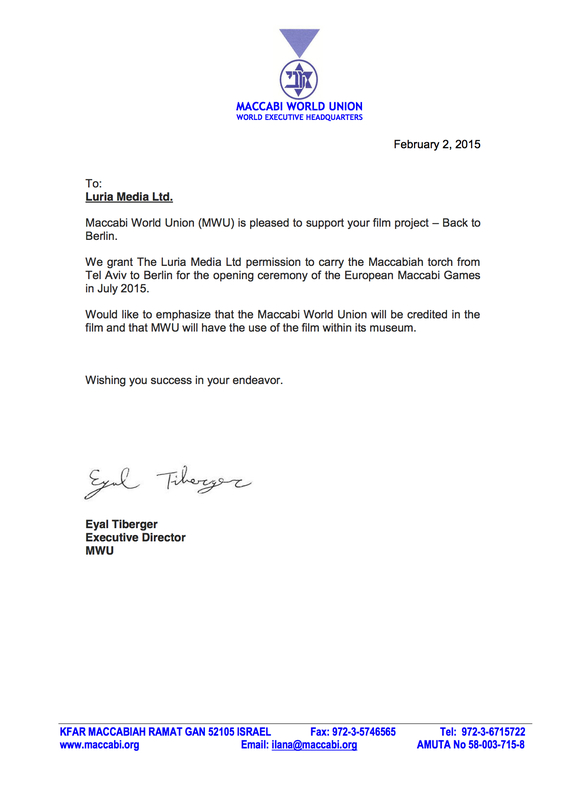 Luria Media Ltd is proud to announce the Maccabi World Union’s endorsement for our Back to Berlin bikers to be the official carriers of the Maccabiah Torch from Tel-Aviv to Berlin! Our riders will proudly carry the torch as they ride through Europe, delivering the torch to the opening ceremony of the 2015 European Games in Berlin. The opening ceremony will be held on Tuesday, July 28th at the Waldebühne Amphitheater.